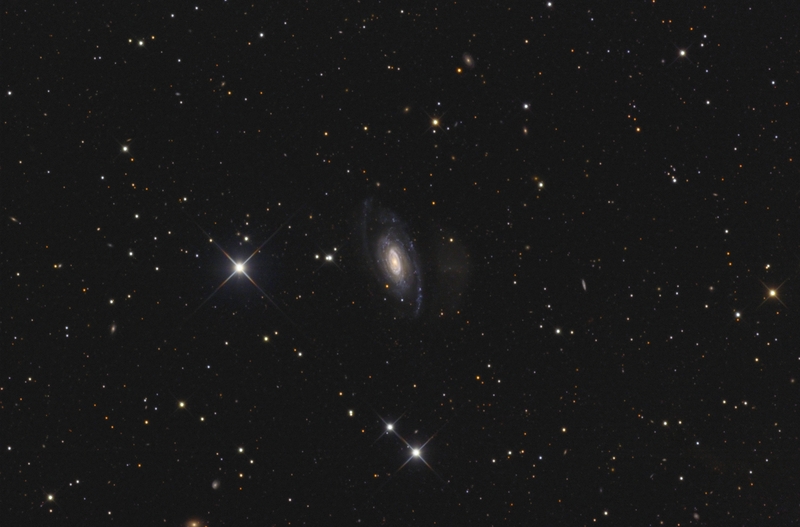 NGC 7531 is a spiral galaxy about 60 million light-years away in the constellation Grus. 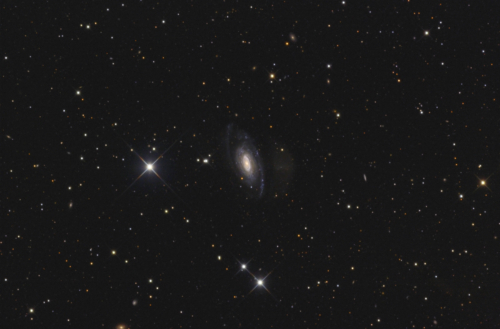 This southern galaxy is one of the brightest and largest examples of a "nonbarred", ringed system. 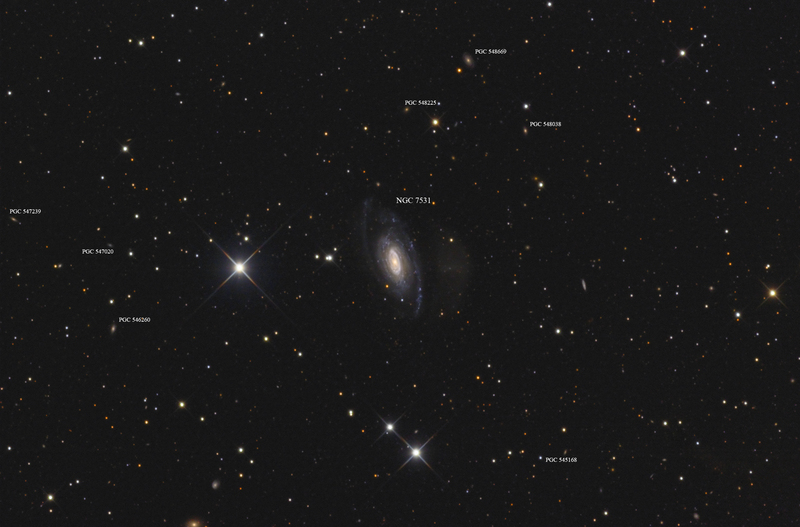 The image above shows a large, low surface brightness galaxy, 2.6' west of the center of NGC 7531. 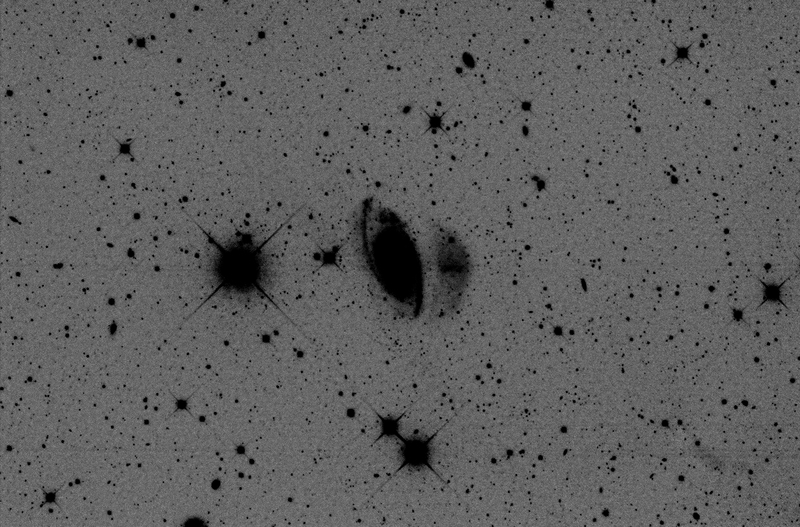 This faint galaxy is clearly visible in the inverted image.